Tha St. Petersburg na bhaile mòr ann an stàit Florida, Na Stàitean Aonaichte. Anns a’ bhliadhna 2010 bha 244,769 duine a’ fuireach an seo. Tha e suidhichte aig 13.4m os cionn ìre na mara. 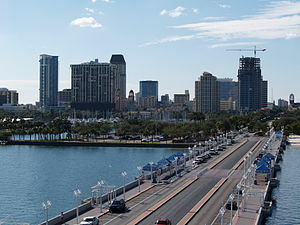 Air a tharraing à "https://gd.wikipedia.org/w/index.php?title=St._Petersburg,_Florida&oldid=476410"
Chaidh an duilleag seo a dheasachadh 11 dhen Dàmhair 2014 aig 21:19 turas mu dheireadh.